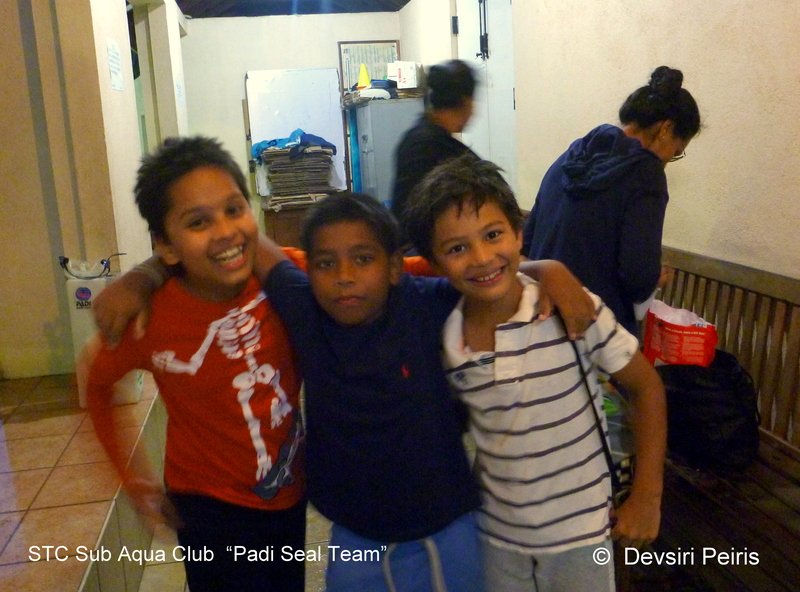 Dhanika, Rory and Sashen , our latest PADI Seal Team members at S. Thomas College Scuba Diving Unit. 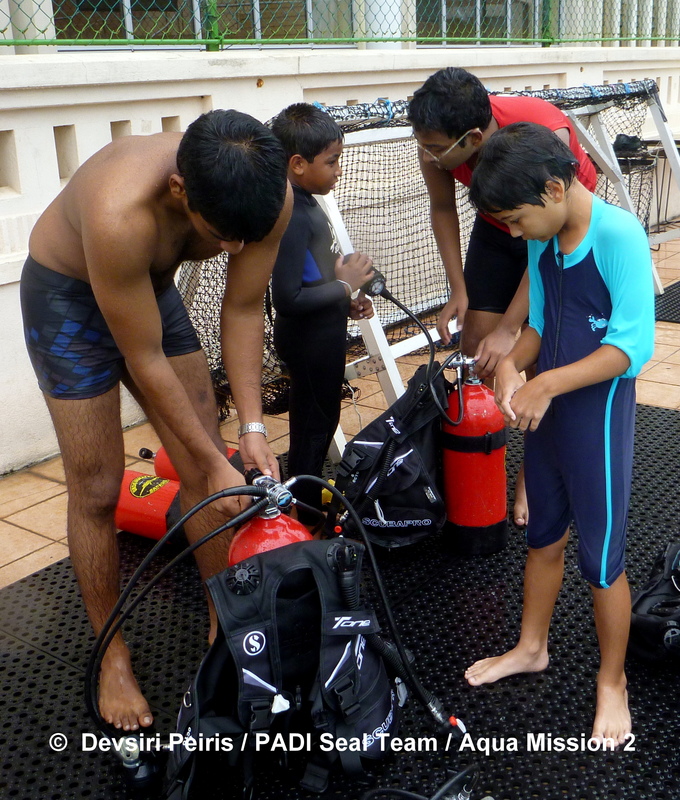 PADI Seal team starts at the Age of 8 years. 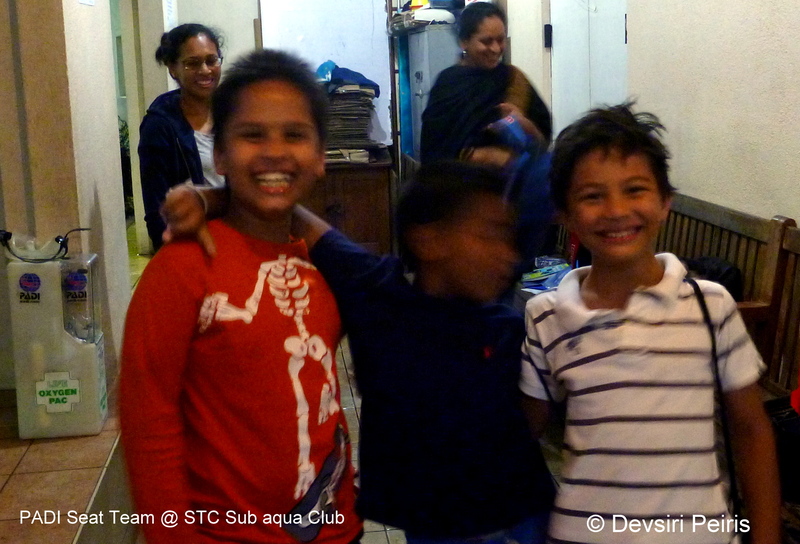 Clearly for these kids, Scuba diving is far more easier than standing still for a photograph.. really !!! 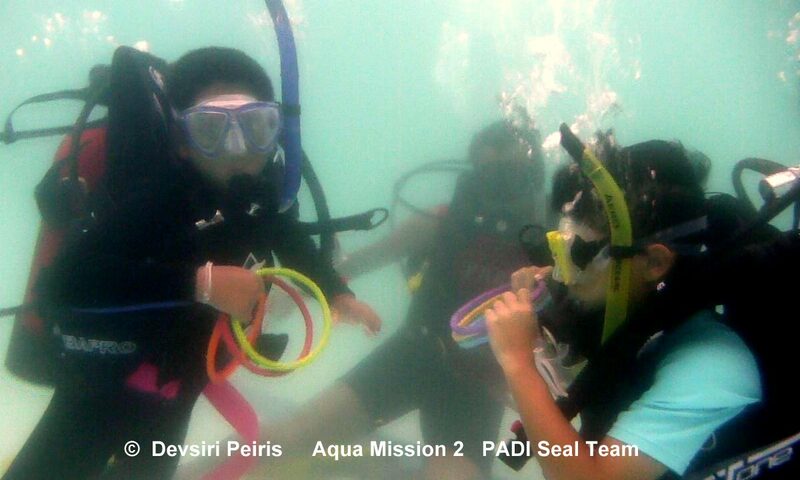 PADI Seals Dhanika and Rory having fun at 4 meters Depth. 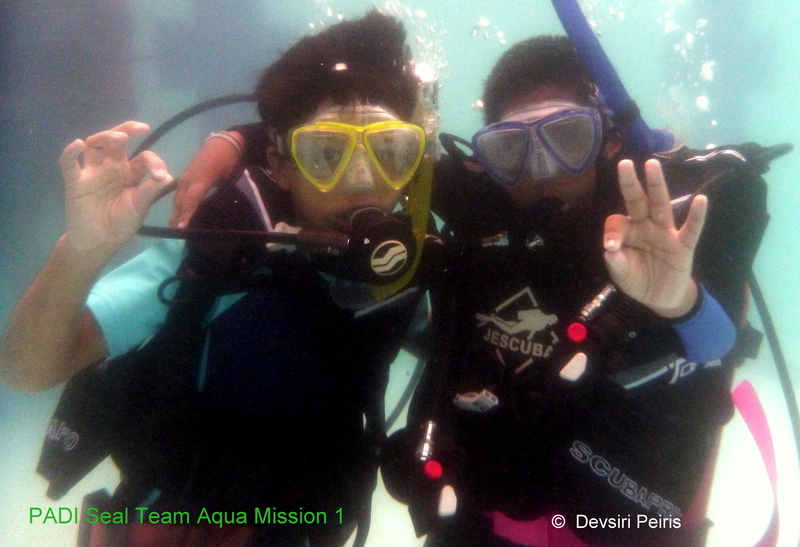 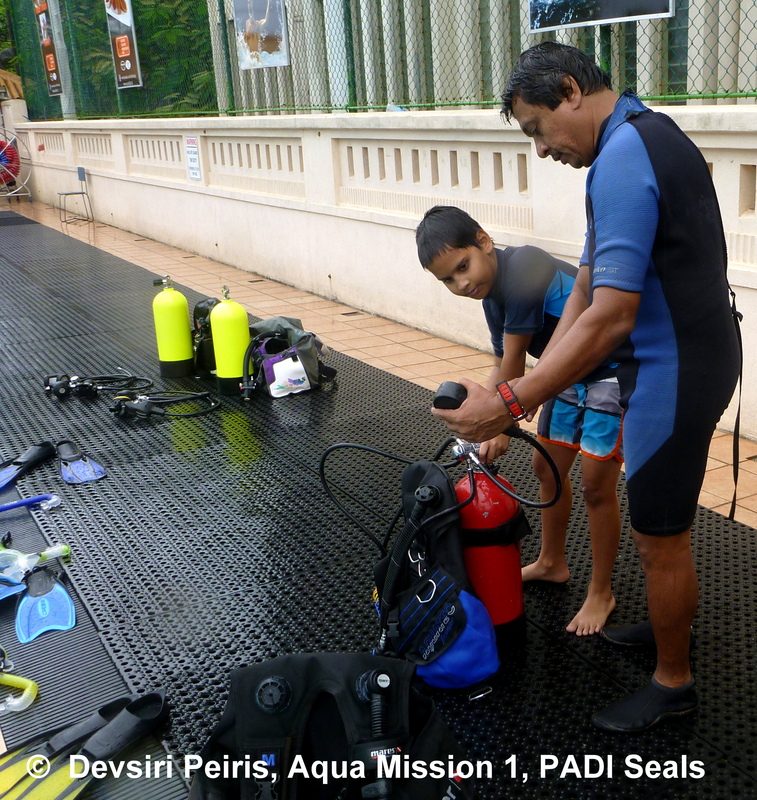 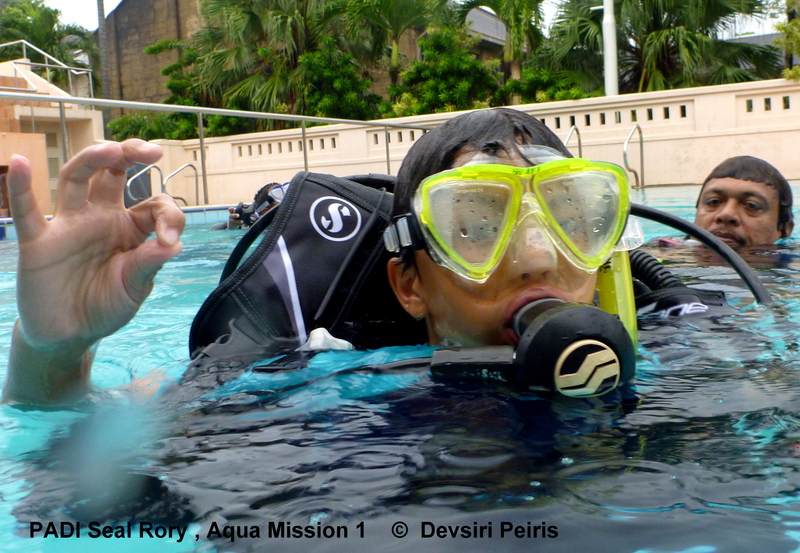 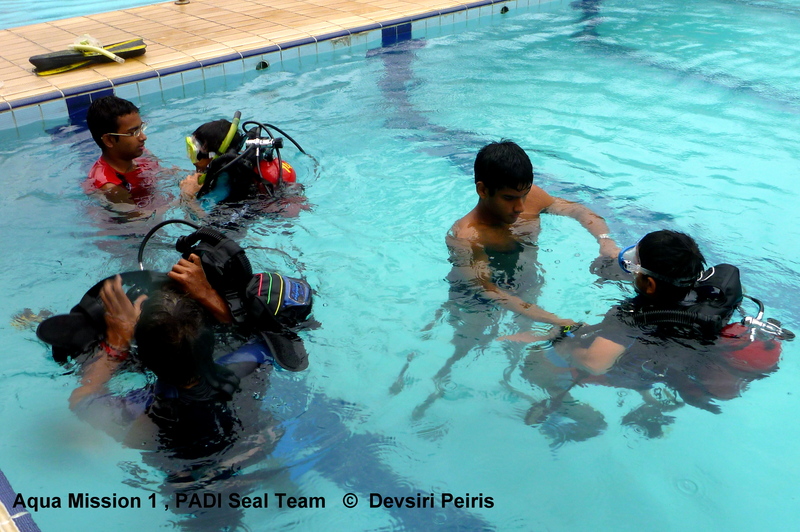 After completing all 5 Aqua Missions these PADI Seals can continue their training in the 10 PADI Specialty Aqua Missions. 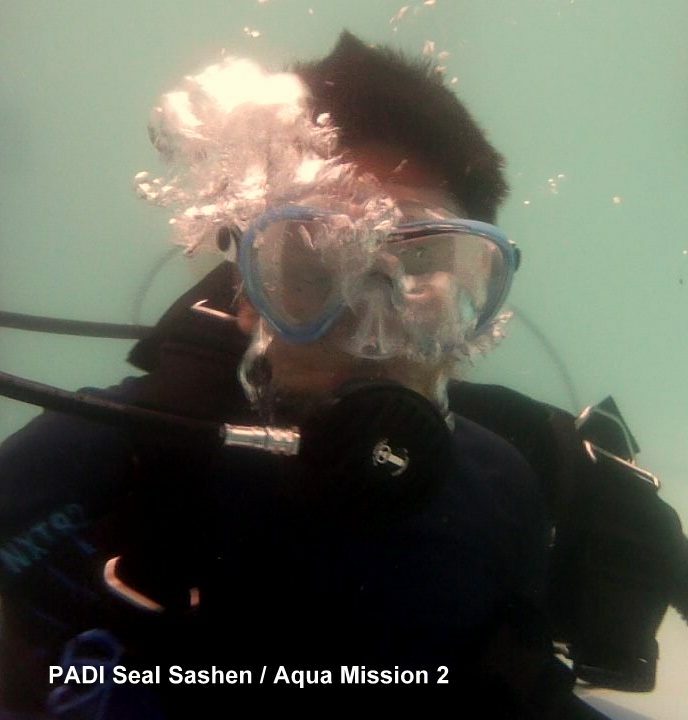 PADI Bubble Maker and PADI Seal Team are two really fun Scuba diving courses. 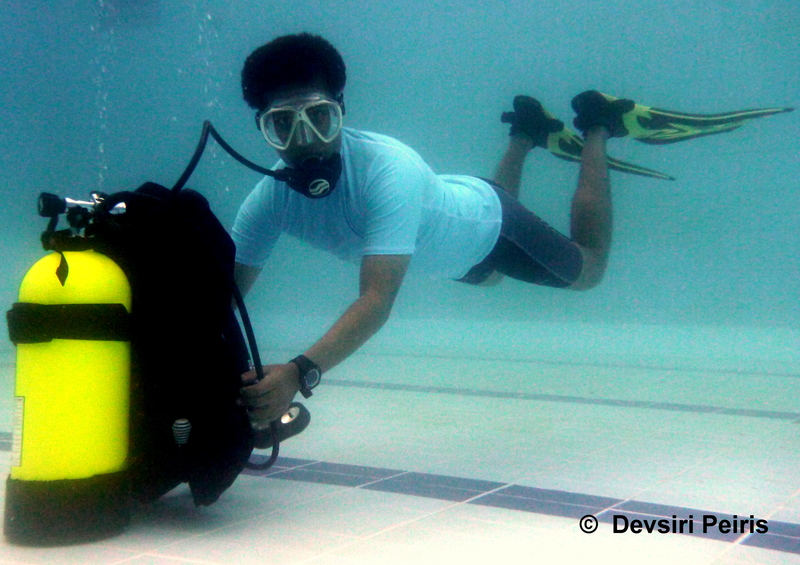 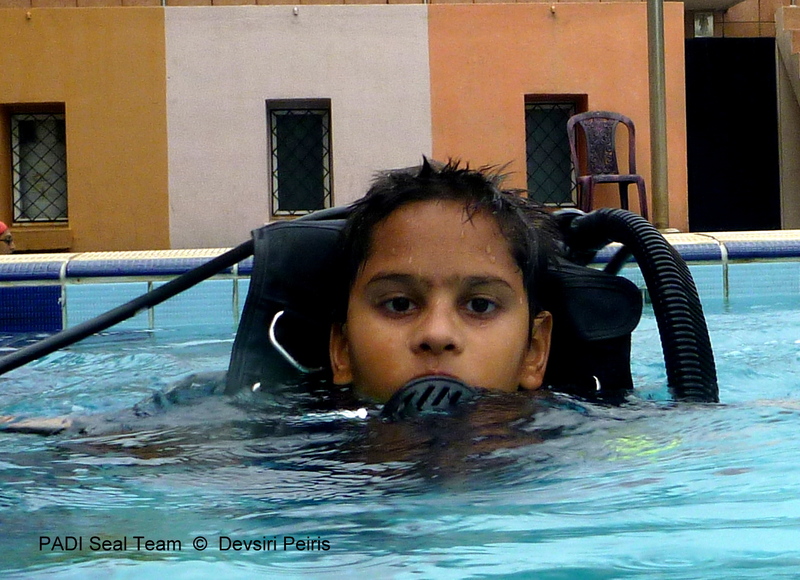 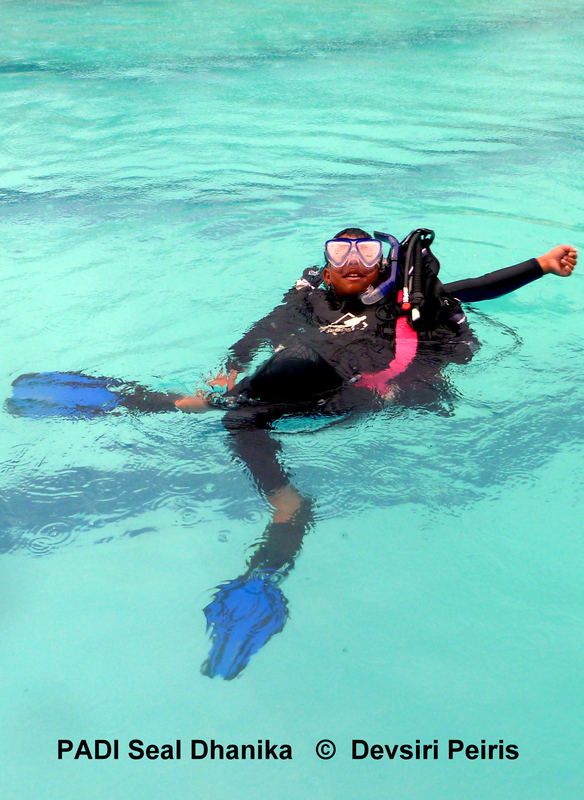 Its a real super programme to introduce kids into scuba diving in a very fun and very safe environment. 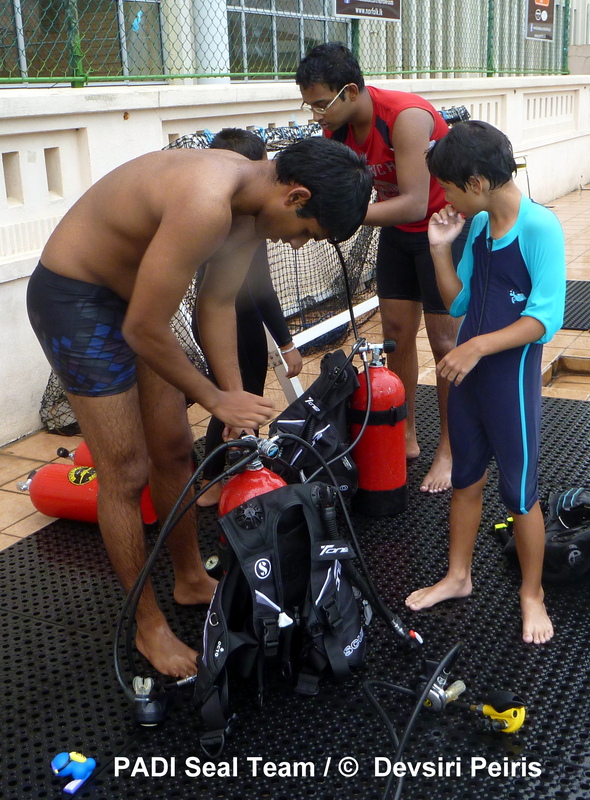 The Kids learn many valuable lessons while they have loads of fun. 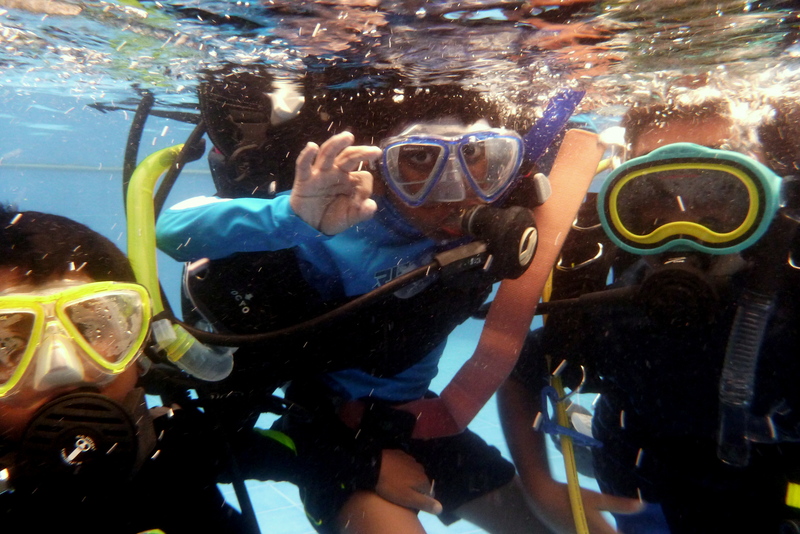 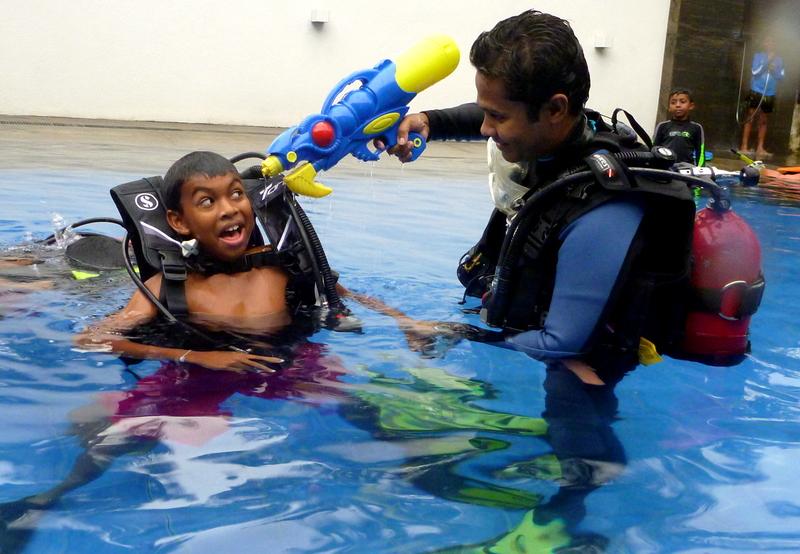 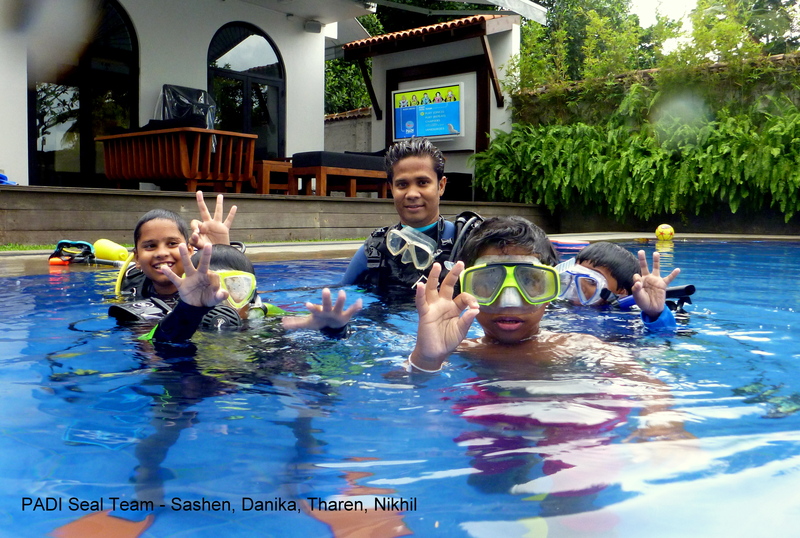 They get to have loads of fun and play around in the water, and in the process learn Scuba Diving skills which prepares them for the full Scuba course when they turn 10 years old. 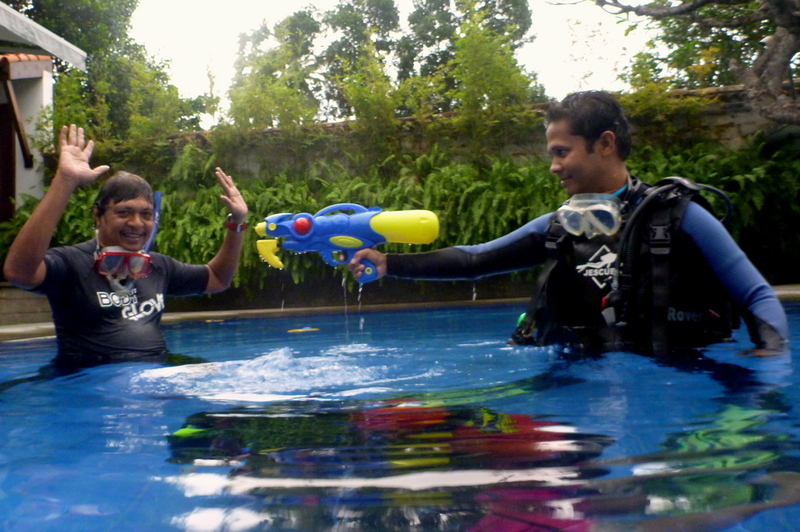 But the fun doesn’t end when you turn 10 years old .. even the older kids have loads of fun!